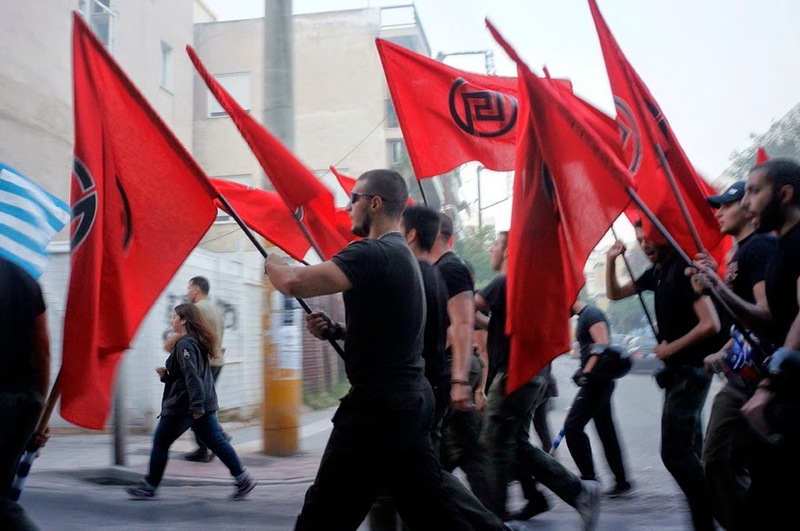 Golden Dawn - International Newsroom: Golden Dawn: Unprecedented victory under hostile circumstances! 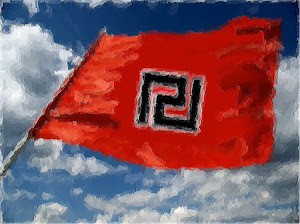 Golden Dawn: Unprecedented victory under hostile circumstances! The hardships and hostility of the double municipal and regional elections were numerous. Not only was there constant propaganda by all the politicians and Media against us, but also for the conspiracy of silence that barred Golden Dawn's representatives from public and open conversations. There was an issue of politicization of the elections, that were won, but not to their fullest potential. This will be more evident in the European Elections. But we must see the numbers for our revolutionary Party, to alleviate all doubts that the Greek People will not withdraw from the nationalist phalanx! In 2012 in the capital Attica region, GD received 7,5% of the vote. Yesterday, we received 30.384 additional votes even though 236.597 less votes were cast in comparison with the 2012 elections. Golden Dawn almost doubled her Nationwide percentage receiving 11,11% of the vote and conquering the 3rd place! The capital city itself rewarded us with an even greater support. Golden Dawn increased her strength there from 7,81% to 16,12%! In Western Greece, there was an increase in every department, getting us from 7,59% in 2012 to 9,46% in 2014! In Macedonia we saw increases ranging from 0,8% to 2,5%. Our candidate mayor for the capital of the region, Salonica, went from 6,8% to 7,7%! Mainland Greece gave us the highest regional increase, from 7% to 10%! Returning back to Athens, there are departments, like Plato's Academy and others, that rewarded Golden Dawn with 20,7% of the vote and the first place! Other densely populated areas also gave big support for Golden Dawn, about 18,8%. 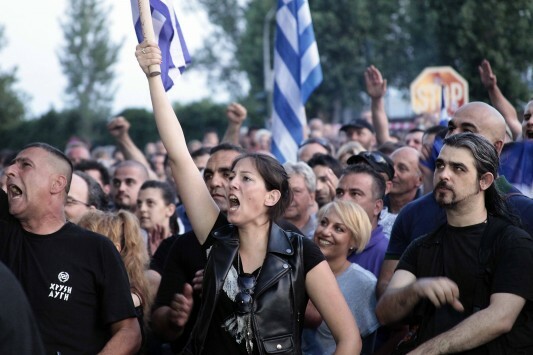 The most triumphant winners were our comrades in Golden Dawn, and the greatest losers are the polling companies, that failed tragically to predict the actual results, under-representing GD and over-representing the Left and the Right. These elections are only a sample of our overall increase. There is no expression of our voters in areas where Golden Dawn was unable to place candidates. Not to mention the various tricks the State tried to pull in order to "lose" our ballot papers. Neither of these two factors will be a problem for the EU elections! 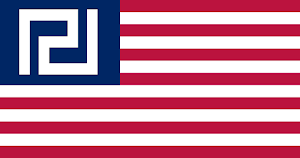 Indicative of this is the outcry on the public Media, where they discuss the "dangerous" rise of Golden Dawn, that is like a splinter in their minds. Steady growth and disciplined progress and all the hard work of the people of Golden Dawn is starting to pay dividends. So how many seats does GD have in Greek Parliament after this? Fantastic, good to know our nationalistic brothers and sisters are rising from the ashes of post war marxism. Good Job Brothers and Sisters! Keep up the good work! HAIL VICTORY! Congratulations folks! let's hope this spark will ignite the hearts of all Europeans! good luck from Italy! Well done, Golden Dawn. I hope you achieve all of your goals, and have a Prime Minister who is a Golden Dawn member. Amazing progress. You brothers and sisters give us hope that someday this movement will spread to the United States! Cultural Marxism is destroying the western world on a daily basis and most people just give you a funny look like you are crazy when you try to tell them. Though they all know what political correctness and multiculturality are, they have no clue as to where this crap comes from and what its true purpose is. And this denial helps the destroyers advance their agenda. Your tolerance for diversity will ultimately turn out to be inversely proportional to your distance from it, and this lesson will be learned the hard way for some. 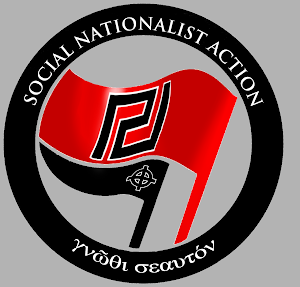 Golden Dawn must win ! From the greeks in South Australia.. we support you Golden Dawn.. Go all the way !!! !